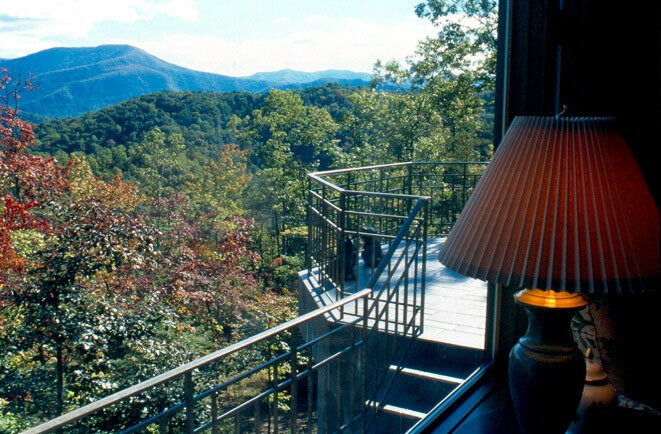 With a site that offers panoramic views of The Great Smoky Mountains National Park and the city of Gatlinburg in the valley below, two primary design goals informed the project design: 1) design a home for casual living and entertaining that optimizes the views from all primary indoor and outdoor living spaces and 2) design a house with a relatively low profile that is harmonious with the surrounding natural landscape. 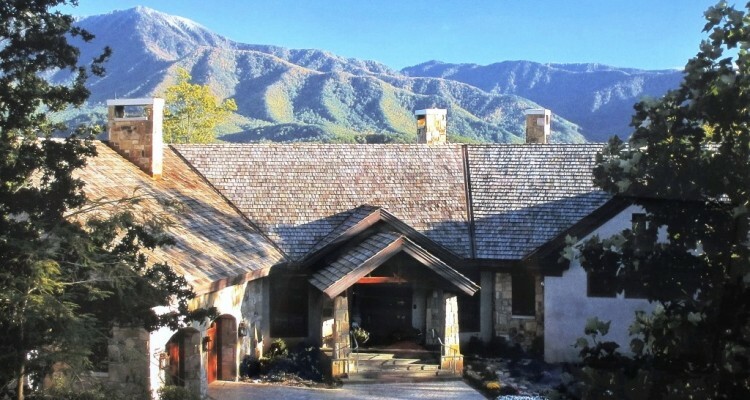 The design solution results in a boomerang-shaped house that follows the contours of the hillside, affording sweeping views of the Smokies. The second story entry level of this two-story home contains all of the primary day-to-day living functions; with guest rooms, a recreation room, and storage on the lower level. In the event that one or both of the owners becomes less mobile in future years due to advancing age, the design of the house includes an option for a future elevator. 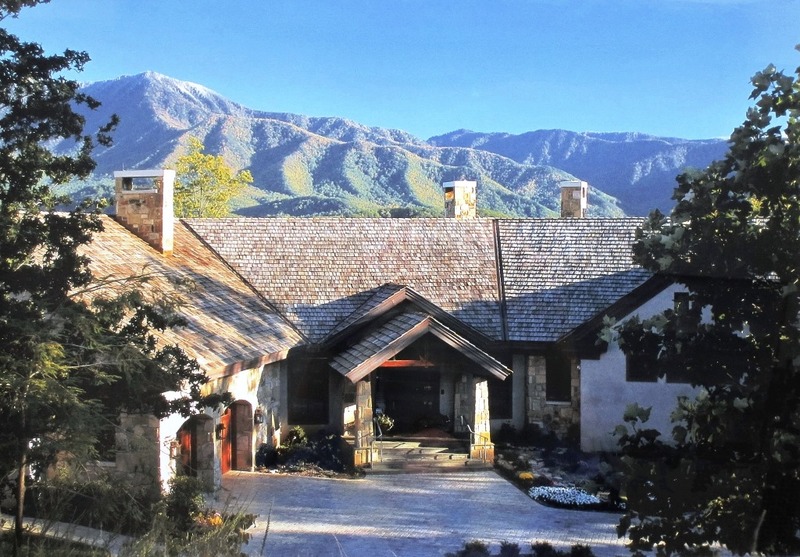 The boomerang-shape of the house accomplishes three objectives: First, as one moves through the house, the panoramic mountain views that stretch across a 180 degree arc constantly change. Secondly, by wrapping the house around the mountainside at approximately the same contour elevation, the structure is integrated with the landscape and disturbance to the site is minimized. 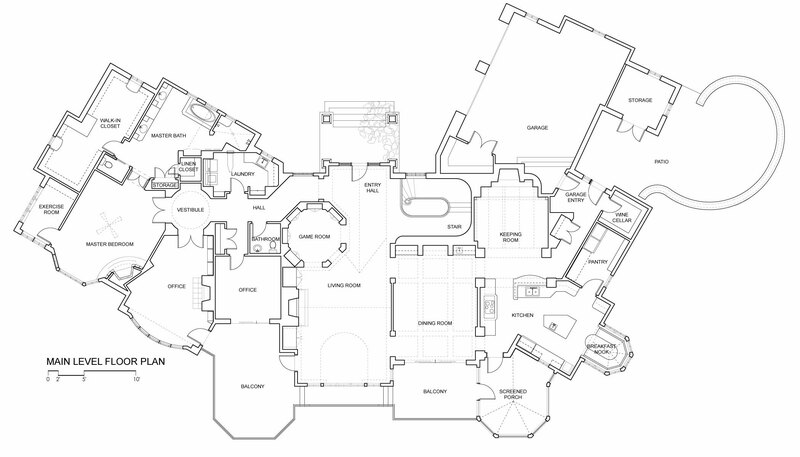 Third, the primary circulation path through the house is efficiently organized along the “inside” of the boomerang-shaped plan, so that the major spaces are in close proximity relative to the size of the house. 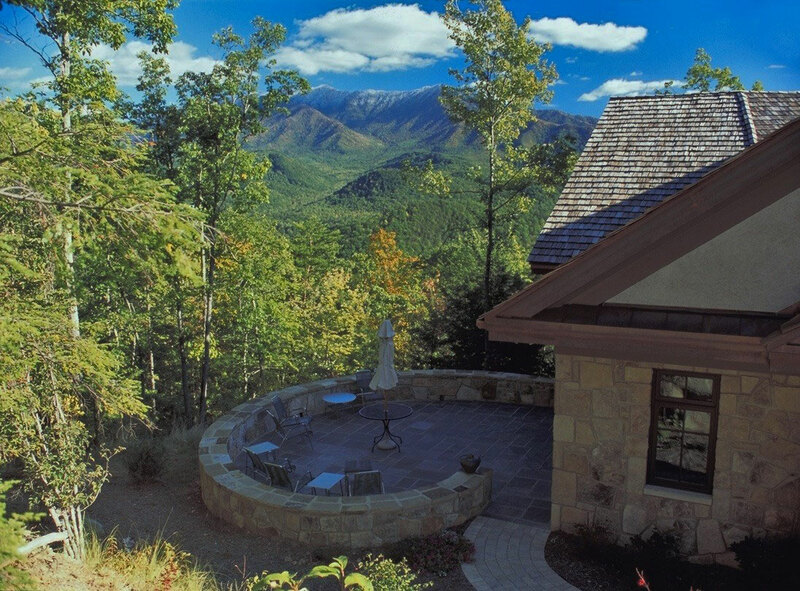 Outdoor living spaces facing the mountains are treated using balconies and a screened room along the southern side of the house. A curved stone patio supported with a stone retaining wall is tucked along the eastern side of the house. 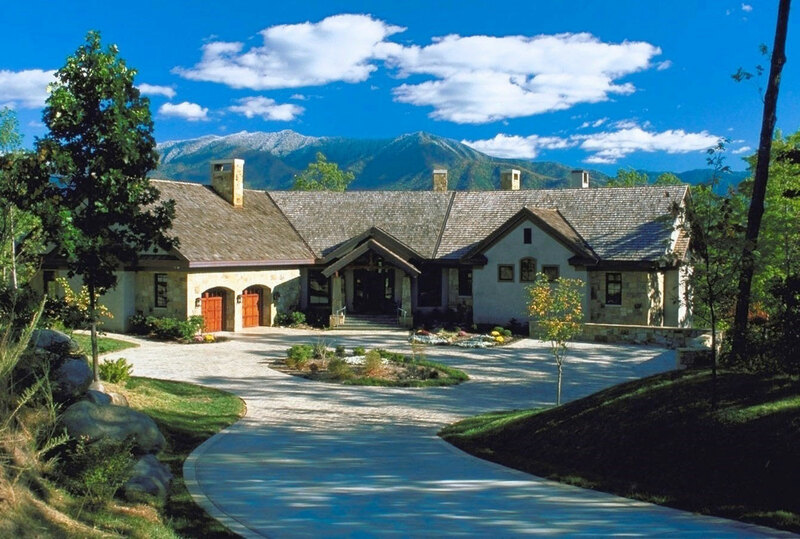 The primary exterior materials consisting of masonry stucco, mountain stone, and cedar roof shakes were chosen because of their natural qualities. Cherry and chestnut woods combine with natural stone and hand-made brick to create an interior in tune with its mountain setting. 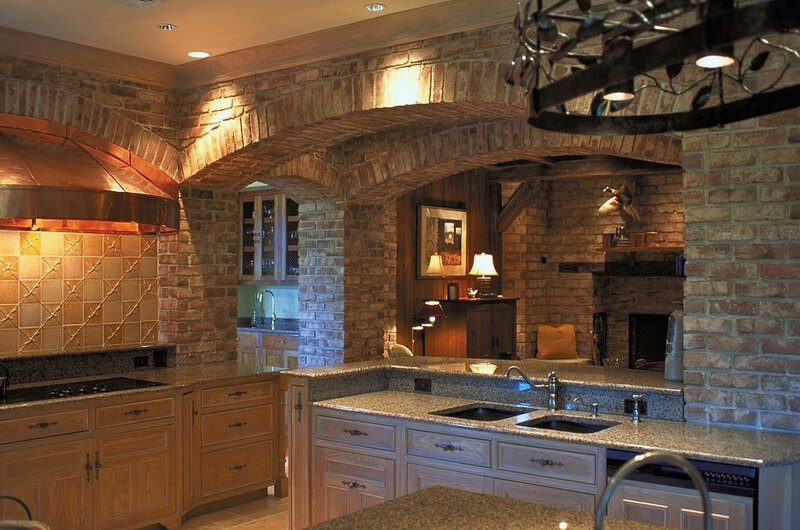 A special feature of the house is the “keeping room” adjacent to the kitchen. 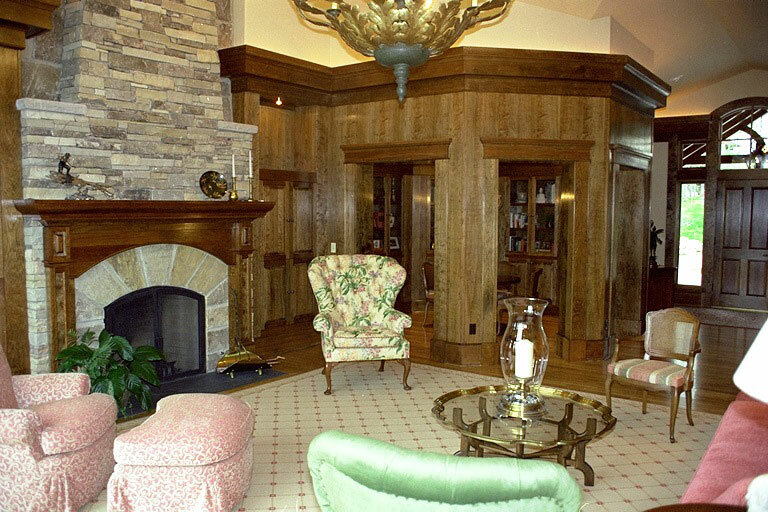 Inspired by a rustic inn in Virginia, the room is organized around a large fireplace hearth. 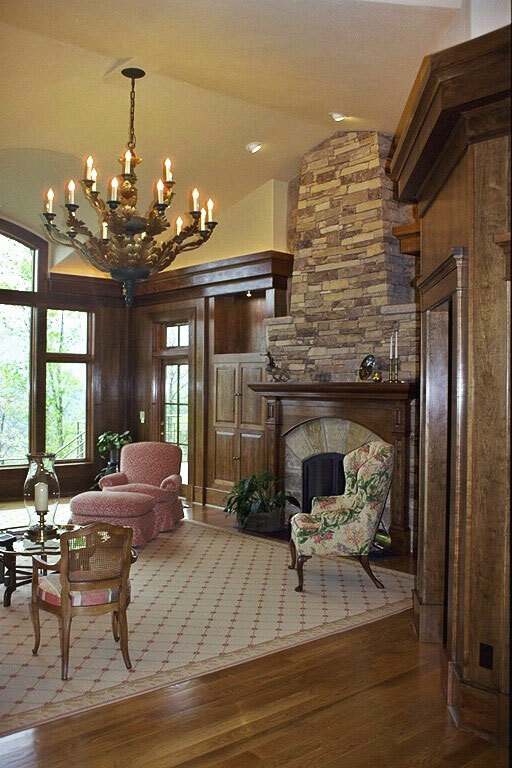 Finishes in this room consist of antique wood beams and wormy chestnut paneling recovered from a barn loft in rural East Tennessee.